David Moyes’s Real Sociedad stopped Barcelona going top of La Liga thanks to an early own goal from Jordi Alba. Real Madrid’s 2-1 defeat at Valencia earlier in the day would have allowed the Catalans to edge ahead in the title race if they had won. But coach Luis Enrique started with Lionel Messi, Neymar and Dani Alves on the bench following the festive break. 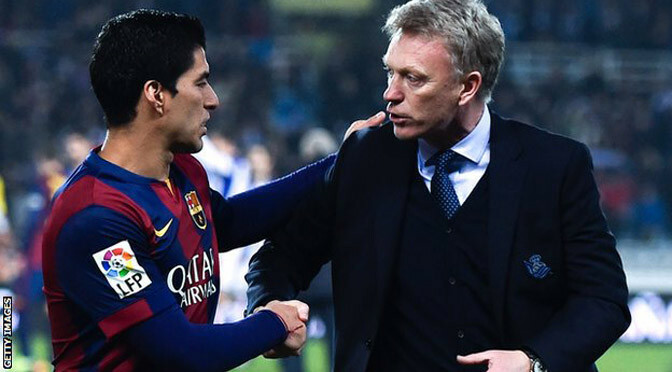 And they were unable to inspire a fightback as Moyes secured a memorable second win as Sociedad manager. Messi, Neymar and Alves only returned to training last Friday after an extended break in South America during the league’s Christmas shutdown. Enrique took the gamble of starting without them for a fixture that has proved tricky for Barcelona in the past. And so it proved again with their winless run at Anoeta now extended to six games. In Moyes’s previous two home La Liga games, former Arsenal striker Carlos Vela had struck in the opening five minutes. And while there was to be no repeat for Vela, Sociedad were still ahead after just two minutes as Alba headed a cross from Sergio Canales past his own keeper. For a team which had already beaten Real Madrid and defending champions Atletico Madrid in San Sebastian this season, it was the perfect start. Sociedad have been difficult to beat under Moyes, with just two losses in their previous seven matches since the former Manchester United and Everton boss took over in November, and they clung tenaciously to their lead. They were helped by an insipid first-half performance from Barcelona, who rarely threatened an equaliser. Sociedad went closest to a second goal when Canales turned sharply and tested former Socieded keeper Claudio Bravo at his near post. Not surprisingly, Enrique sent on Messi at the start of the second half and waited just a further 12 minutes to introduce Neymar to try and spark an improvement. Barcelona increasingly dominated possession and began to camp around the Sociedad penalty area. But with a wall of blue and white shirts to pass, they could not turn their pressure into any meaningful chances. Sociedad defended superbly with goalkeeper Geronimo Rulli making his one real save four minutes from time when dashing out to save at the feet of Luis Suarez. Barcelona’s next La Liga game is against champions Atletico Madrid next Sunday. 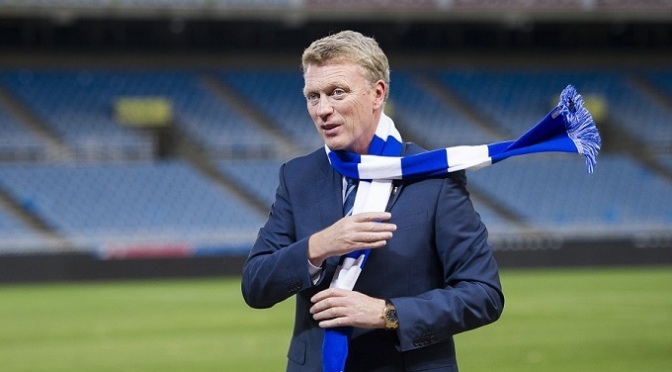 David Moyes has revealed how he took the Real Sociedad job after advice from Sir Alex Ferguson. Moyes was dubbed the Chosen One after Ferguson selected the then-Everton manager to take over at Manchester United when he retired last year. That move failed in spectacular fashion after Moyes was sacked just 10 months into a six-year contract at Old Trafford, with United floundering in seventh in the Premier League table. Moyes was announced as Sociedad manager on Thursday and revealed that Ferguson told him to take the opportunity to rebuild his reputation abroad. The revelation would suggest Moyes harbours no ill feeling towards Ferguson after his dismissal from United, even after an updated version of the latter’s autobiography contained passage that were less than complimentary about his successor’s time at Old Trafford. Moyes however, still insists he was the right man for the job at United, claiming he was not given enough time to shape the squad in his image. He called on club officials to offer that time to his replacement, Louis van Gaal, who has presided over United’s worst start to a season since 1986. “I still stand by what I said at the time that I was not given enough time at United to succeed or fail,” Moyes said. “I think there was nothing wrong with how we worked and everyone can see that whoever is in charge at Manchester United, it is quite a long job to do things. Nine months would never be enough time for any manager.